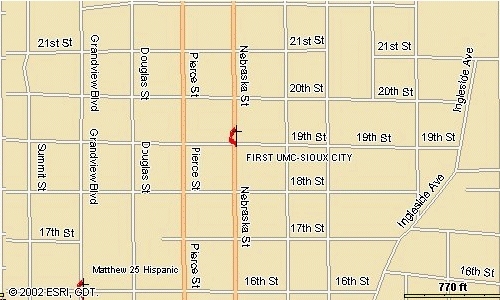 If you are coming from I-29, take the Downtown Sioux City Exit (Exit #147B), go to Nebraska Street (a one-way street heading north) and come up Nebraska to the church at 1915 Nebraska. If you are coming from the North, take Pierce Street south until you get to 20th Street, take a left, and we are one block away and on your right. We have church parking across the street on Nebraska and to the north of the church by the "Canopy Door." 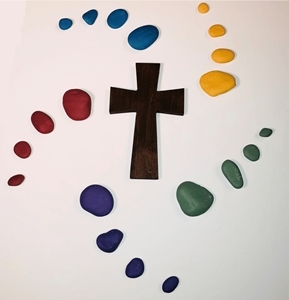 You may call the church office (712-258-0119) for more information.